Crunch time in Greek debt crisis: time for compromise? It is well and truly crunch time and this week will be pivotal in defining the future of Greece and the Eurozone. It was interesting to read criticism this morning of Syriza’s approach to negotiations over the last couple of weeks, with at least one commentator pointing out that Varoufakis’ negotiating actions have not matched his academic knowledge of game theory. Let’s not forget though that at least he is showing willingness to resolve the situation in a way that will keep Greece solvent and avoid disaster. This is more than can be said for his Eurogroup partners. 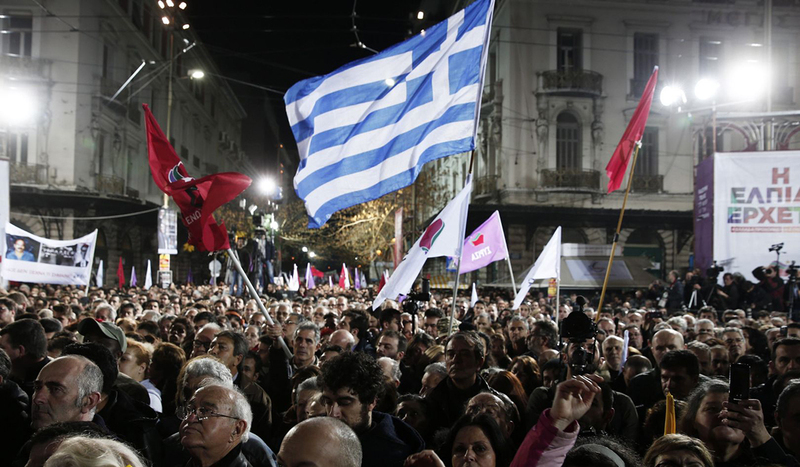 Later today Syriza faces a vote of confidence in the Greek Parliament. Although it is likely to gain enough votes, this is just a precursor to tomorrow’s meeting in Brussels of EU finance ministers which could be one of the last opportunities to take steps towards a compromise before things start to unravel. After the ECB stopped accepting Greek bonds as collateral on loans last week, the National Bank of Greece has been forced to increase its operations through the Emergency Liquidity Assistance (ELA) in order to prop up the Greek banks. This is essentially a form of credit sanctioned by the ECB but with the proviso that it can be cut off at any moment if the ECB feels it is excessive. The end of Greek ELA would be the point of no return, leading to a run on Greek banks, bankruptcy and a certain exit from euro. Even now, Greek bank deposits continue to plummet at an alarming rate, adding to the likelihood of a run on the banks. Unless things change dramatically Greece will surely have to institute capital controls very soon to hang on to what’s left in their financial system. According to the ECB, Greek banks have lost around 21 billion euros since December, amounting to unsustainable losses. Although capital controls would break the European Union Treaty, this is not without precedent, and Cyprus was allowed to introduce this measure, with some success, in 2013. However, this will be an unpopular measure within Greece and is likely to be a severe test for Tsipras and his government. But the problem here is not on the Greek side. Tsipras and Varoufakis have both given signals that they are ready to compromise but this flexibility is not being matched by their Euro creditors. Germany and the Troika are playing a dangerous game. By this stage it should be clear enough to everyone that Syriza cannot concede much more without losing the popular support that got them elected. Their commitment to fulfilling 70% of the troika conditions (while revising the other 30%) is as much as can possibly be conceded. And to be clear, the issue here is not that the Greek debt be wiped out, it is that the requirement to run a primary surplus of 4.5% – which has been responsible for the lack of public investment, economic growth, and consequent ‘humanitarian crisis’ – needs to be revised, and it is this that the Greeks are pushing for. It is easy to believe Varoufakis’ claim that the most EU ministers admit off camera that the austerity measures cannot continue. If Syriza backs down it will surely be forced to hold a snap election which may sweep it out of government. And perhaps this is what the Euro creditors want, bringing as it may a more compliant partner in fulfilling its debt obligations and structural reforms. But it may also, as Varoufakis has not been slow to remind us, bring a resurgent Nazi party which could destabilise Greece and beyond. And let’s not forget also that if Greece reverts back to its previous path of austerity, this will be a crushing blow for national democracy across Europe. My feeling is that the Eurogroup made a serious mistake last week in rejecting Varoufakis’ proposal for a move towards bonds indexed to economic growth. This was an innovative idea and one which could have brought a compromise without either side losing too much face. The problem may be that the Greeks brought this to the table too early in proceedings, with the Euro creditors dismissing it out of hand in the hope that further Greek compromise would be forthcoming. This was a tactical mistake from the Greek side and perhaps this card should have been played a little later as a showpiece compromise measure. As it is though, both sides have missed out here, as the Euro creditors now know that Syriza does not have much more to give. So what then are they waiting for? My guess is that by not committing to a bridging loan, by refusing to accept the Greek bonds as debt collateral, and refusing to compromise, they are biding their time to see if Syriza will be ousted from within Greece. From the perspective of the Troika this would be the ideal scenario. It is also interesting to note the increasing discontent over the last few days of Syriza’s rollback of privatisation commitments. Anger has emanated from China in particular over the Greek government’s refusal to allow the global shipping carrier, Cosco, to increase their hold on ports near Athens. In the midst of the tension surrounding public debt negotiations, it is not inconsequential that the private sector is also expressing its anger at the new Greek government’s policies. It is reasonable to ask whether this discontent impacts on the current debt negotiations and it would be naive to think that big businesses have not been vocal in expressing their concerns to leading European politicians. This only adds to the international pressure on Syriza and reaffirms the EU’s fundamentally neoliberal agenda.